The fierce competition in the Australian property market combined with the changes to policies, have made it increasingly challenging for foreign investors to secure loans to purchase properties in Australia. In order to help overseas buyers adapt to these changes, Resimax, a renowned Australian developer, has come up with an innovative one-stop solution. In a bid to provide comfort, confidence and security to property investors buying house and land packages in Australia, Resimax has introduced its unique 5-10-20 year guarantee, plus a guaranteed 80% finance to all qualified purchasers. A 5 year Price Protection Guarantee means that if a purchased property goes down in value due to a market downturn, from the date it was settled to the date it was sold five years later, then Resimax will make up the shortfall with an immediate cash adjustment. This then essentially becomes a property insurance product. A Guaranteed Minimum 10 year Rental Income of at least 5% per annum. By keeping the property rental management in-house instead of assigning it to a third party and by selecting the best tenants, Resimax is able to offer a guarantee of a 5% minimum rental income for 10 years. A 20 year Structural Guarantee on every house Resimax builds and sells. Resimax’s associate building companies are J and M Kheir Builders and Evo Builders. 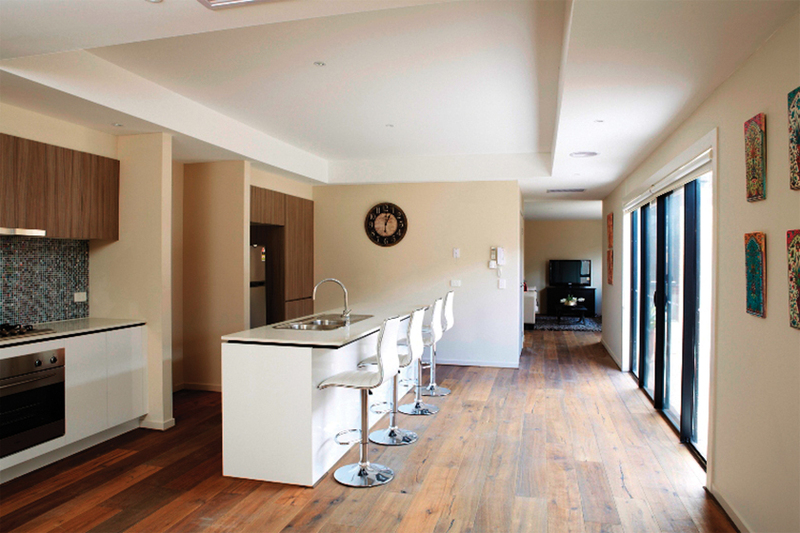 These builders have a combined 75 year track record of excellence in home construction in Melbourne. Because of their years of experience, Resimax is able to include a 20 year structural guarantee on every house it builds and sells. That means, an investor’s rental income will never be compromised because of any problems with the structure of the building. 80% Finance Assistance Offer. In some cases, overseas investors in Australian property are restricted to 60% finance by some banks, where the Australian standard is usually 80% finance. To eliminate this possible hindrance to its investors, Resimax will assist in any such shortfall (up to 20%) by providing access to several financing options that are beneficial to all investors. Marvel at our ability to secure 80% financing for all eligible purchasers. This unprecedented guarantee is made possible with our reputation as a property developer in Australia and the way we conduct business with our clients. Owning a Resimax property has never been easier. By identifying the concerns of prospective clients and more importantly, coming up with viable solutions, Resimax makes it easy, safe and convenient for investors to acquire property in Australia. This was evident by the overwhelming response in Kuala Lumpur and Singapore where over 50 properties were sold in one weekend.